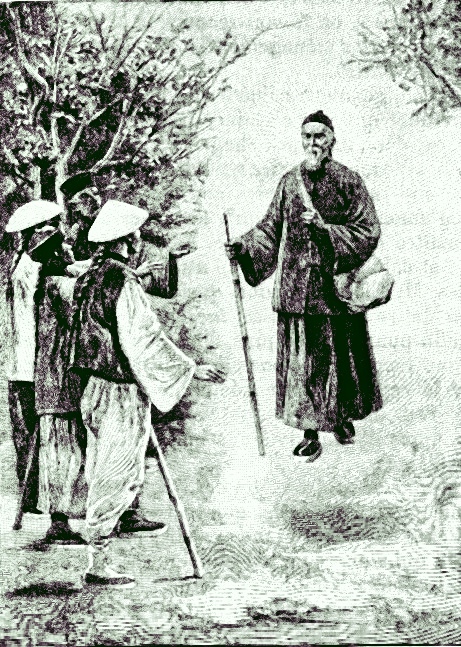 A Lazarist missionary in China; b. 1748, martyred, 18 Feb., 1820. His father was a merchant of Grenoble in France, his mother’s name was Claudine Bourquy. He was the tenth of fifteen children. The family was deeply religious, several members of it having consecrated themselves to God. Francis attended the Jesuit college at Grenoble and afterwards entered the diocesan seminary which was in charge of the Oratorians. His extant letters in French and Latin show a cultivated mind. On 6 Mar., 1769, he entered the novitiate of the Congregation of the Mission or Lazarists, at Lyons. There he made his vows in 1771 and was ordained priest in 1773. The same year he went as professor of moral theology to the diocesian seminary at Annecy. His zeal and learning produced excellent fruits. In the sixteenth year of his stay at Annecy he was sent to Paris for the election of a superior general of the congregation. He did not return, for the new superior general appointed him director of the internal seminary, at the motherhouse in Paris. Scarcely a year had elapsed when the sacking of St. Lazare, on the eve of the taking of the Bastille, scattered his flock. Many of the young men returned to the dismantled house the next day and gathered around their director, but the fury of the revolution prevented their remaining. It was at this period that his ambition to become missionary was manifested. His superior yielded to his desires, and he was sent to China in 1791. The first post assigned him was in Kiang-Si, one of the most destitute Christian settlements in China. He had great difficulty in acquiring the language, which he never fully mastered. The next year he was sent to Hou-Kouang where he laboured for 27 years. Death soon deprived him of his two brother-priests and for several years he ministered alone to a vast district. In spite of difficulties, he succeeded in keeping up the fervour of the Christians and bringing many pagans to fold. In July, 1812, his church and schoolhouse were destroyed, but he escaped. In 1818 the persecution broke out again with renewed fury. 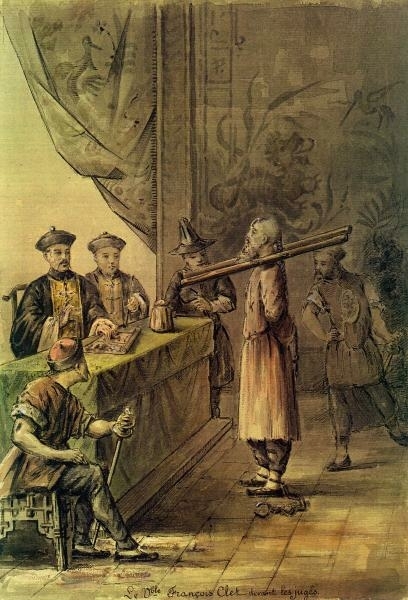 After several remarkable escapes from the searching parties, he was betrayed by a Chinese Christian, for the 1500 dollars set on his head, and was taken, 16 June, 1819. He had to undergo the greatest cruelty for five weeks, but not a word of complaint escaped him. Being transferred to another prison, he was treated more humanely and found there Father Chen, a Chinese Lazarist, from whom he could receive the sacraments. On 1 Jan., 1820, however, sentence of death was passed on him. The execution took place, 18 Feb., 1820. He was tied to a stake erected like a cross, and was strangled to death, the rope having been relaxed twice to give him a three-fold death agony. He was beautified by Pope Leo XIII, 27 May, 1900, and his feast day is on the 17 February. His remains rest in the chapel of the mother house of the Lazarists, in Paris. 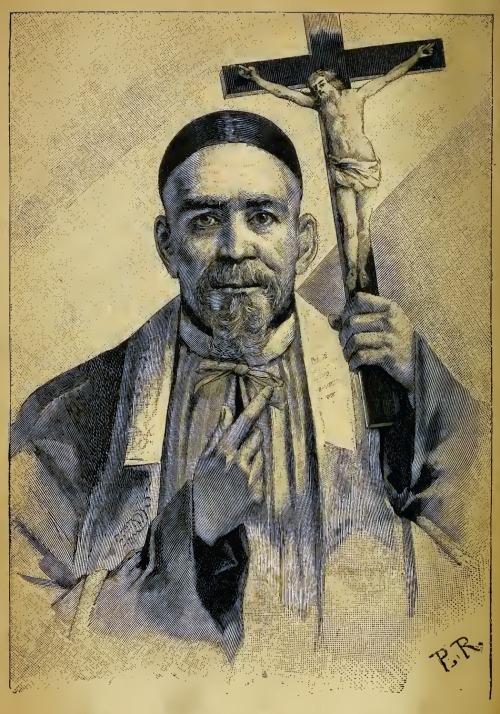 His holy life and death were the inspiration of Blessed John Gabriel Perboyre, also a Lazarist, who was martyred in China in 1840. Lives by VAURIS (Paris, 1853); DEMINUID (2 vols., Paris, 1893); RONGEST (Paris, 1900); DE MONGESTY (Paris, 1906).